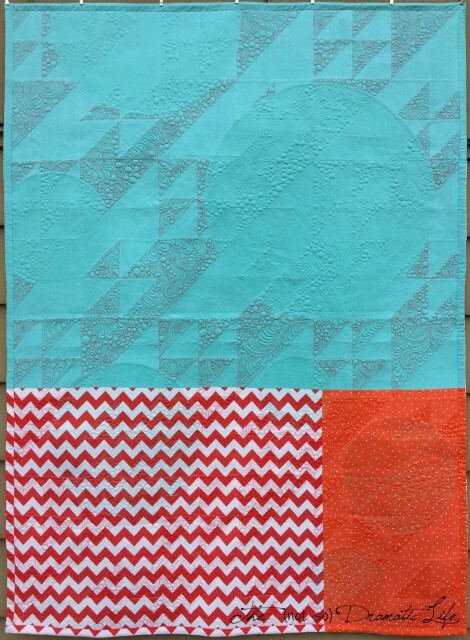 Overlay is the quilt I created using the Rockstar line from Riley Blake fabrics for the Modern Quilt Guild challenge last Spring. I focused on the red and white prints because I liked the idea of using such a classic color combination (such as the popular red & white quilt exhibition!) in contemporary prints. The design of the quilt also embraced the juxtaposition of classic and contemporary. The first step for this project was to make a traditional quilt top using a Flock of Geese block. Once the top was complete, I started deciding which areas would be obstructed by the circular overlays. 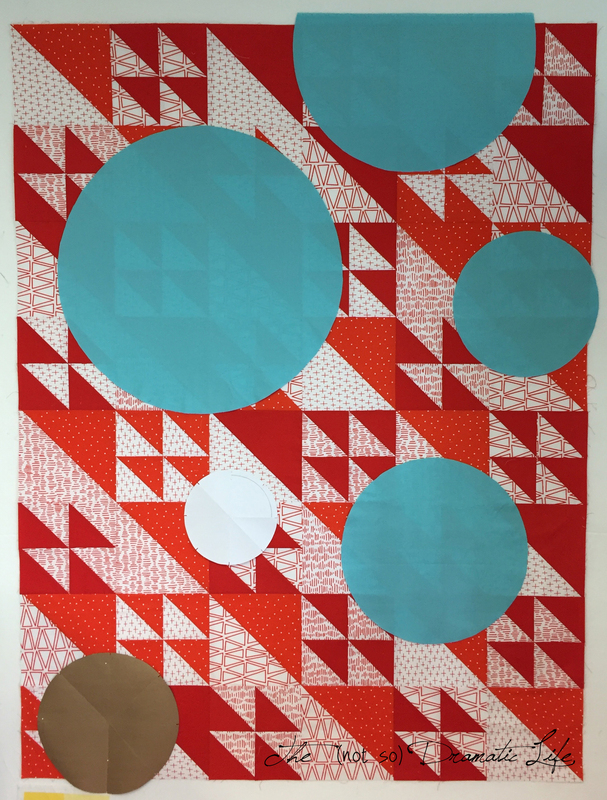 To assist with this process, I made circles from printer and craft paper so I could experiment with scale. Once the right scale was achieved, I used the paper pieces as templates to cut the fabric pieces. 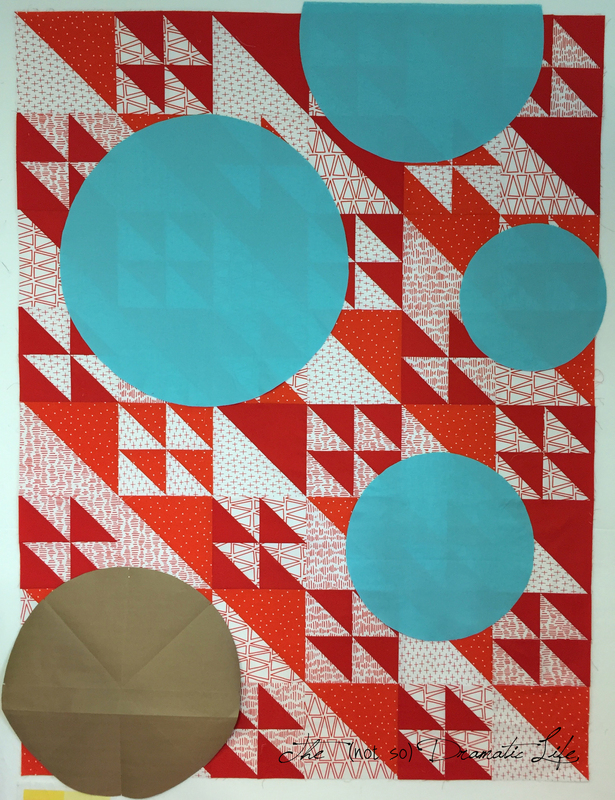 After determining the final layout, I cut corresponding circles from quilt top that had a radius 1/2″ smaller. Then I machine pieced in the circles- thats right- there is NO APPLIQUÉ in this quilt! For me, the quilting is where my vision really comes to life. 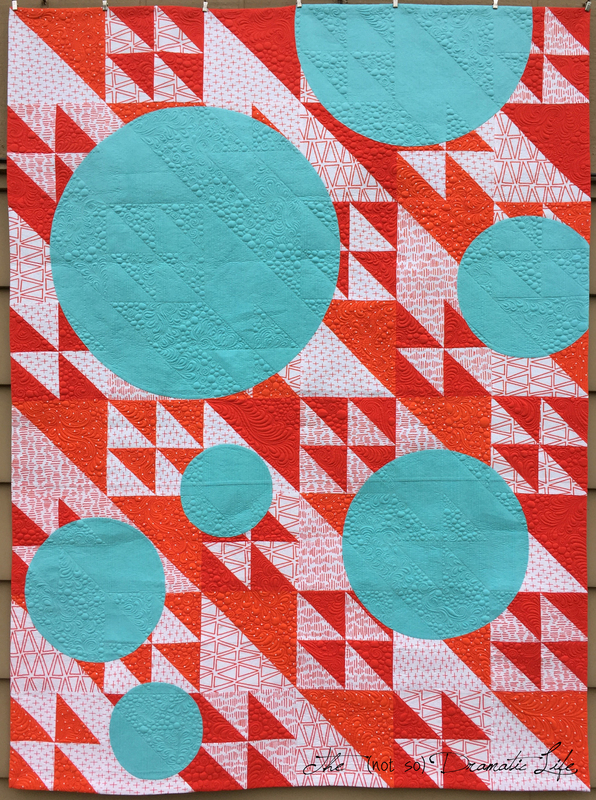 I wanted the texture to tell the story of the quilt even in the sections where the overall pattern is obscured by the circles. For example- if you were to paint a mural on a brick wall, the color changes with the design, but the underlying texture remains the same. 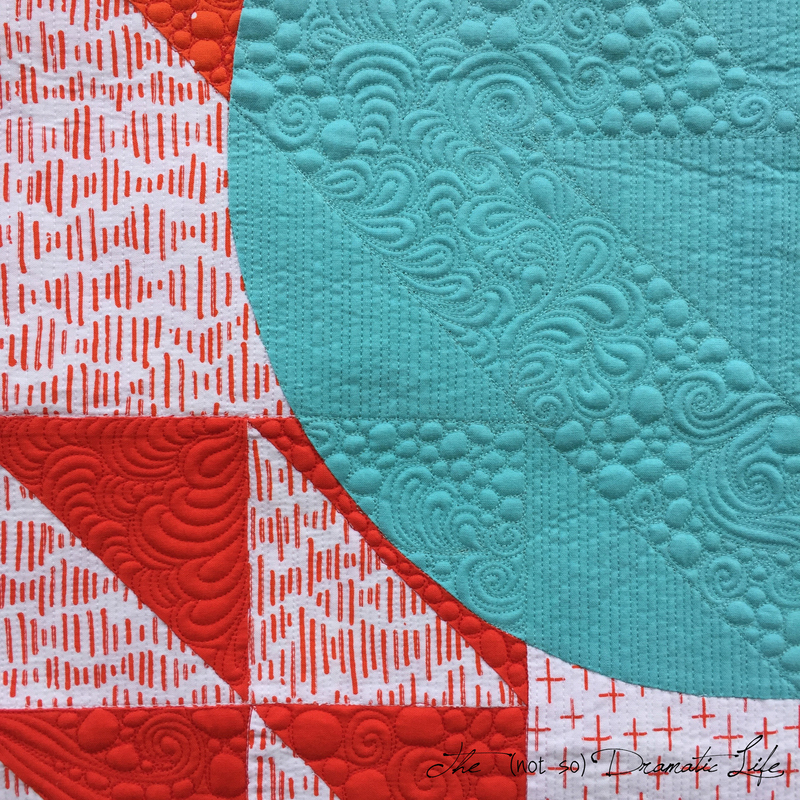 In this quilt, the Flock of Geese design is carried through the entire quilt top using the quilting. 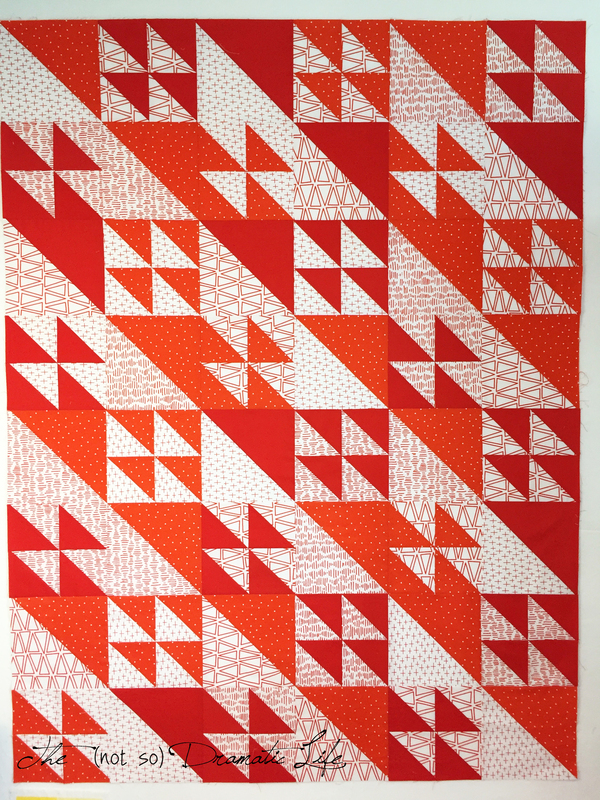 Where the white portions of the Flock of Geese block would fall, vertical matchstick quilting is used. 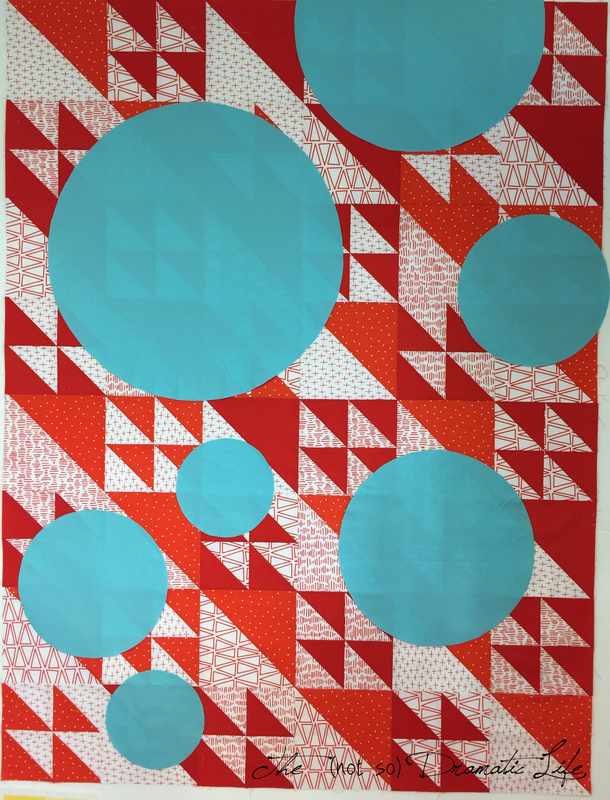 In the red areas, organic mixed motif quilting is used. 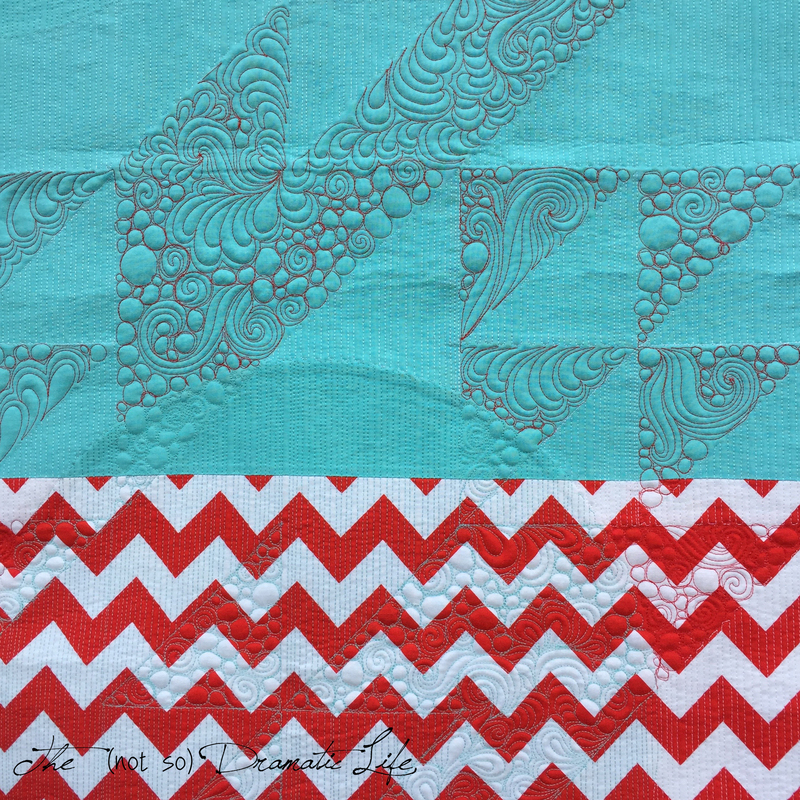 The thread color matches each fabric used on the front of the quilt. The back of the quilt is a mix of red, white, and aqua Riley Blake fabrics. A facing finishes the edges of the quilt so there is no visual border trying to contain the circles that appear to float off the edge. On the back of the quilt, you can really see some of the thread color changes that blend in on the front of the quilt. 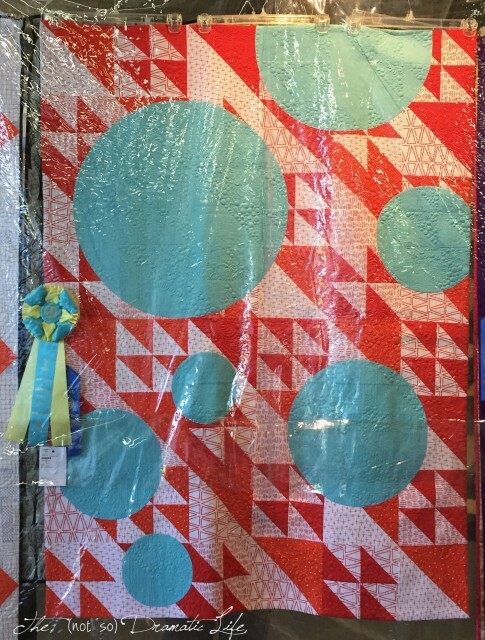 I was able to enter this quilt into the county fair, and it received a first place and a best of division award! Thank you for explaining your technique and the vision for the quilting. It helps to understand the process and gives a greater appreciation of the effort put into the making. How pretty. I love the quilt and those colors. Excellent work. No appliqueing, all pieced, that is amazing.